Our 8th Sales Representative Training was composed of four manufacture representative groups across the nation. Shawn Sandt joined us from Ignite Food Service, Region 20 , New Mexico, Colorado, Utah, Wyoming, Montana, Idaho, Arizona. Also from the west, Jason Grace from Preferred Marketing Group, came representing Northern, Southern California and Nevada. Todd Jones with Paragon Marketing joined us representing Kansas, Nebraska, Missouri and Iowa. Our final representative Mike Steil joined us from our local Keystone region, Pennsylvania representing our home State with BSE Keystone. We’re very excited to have these manufacturer representatives be a part of our team ! Now onto the fun stuff! We started off the training with the AX 18 & AEX30 Pasta Extruder Demonstrations. Chef Alex was in the kitchen cooking up something exciting Rustic Gemelli with a twist, a red twist that is! By adding dried beet powder to the semolina flour and water, he created a vibrant, Beet flavored pasta. We continued to explore and demonstrate the complete Arcobaleno Line throughout the next two days. From Extruders, we moved onto the Multi-function machines, including the AMF160. 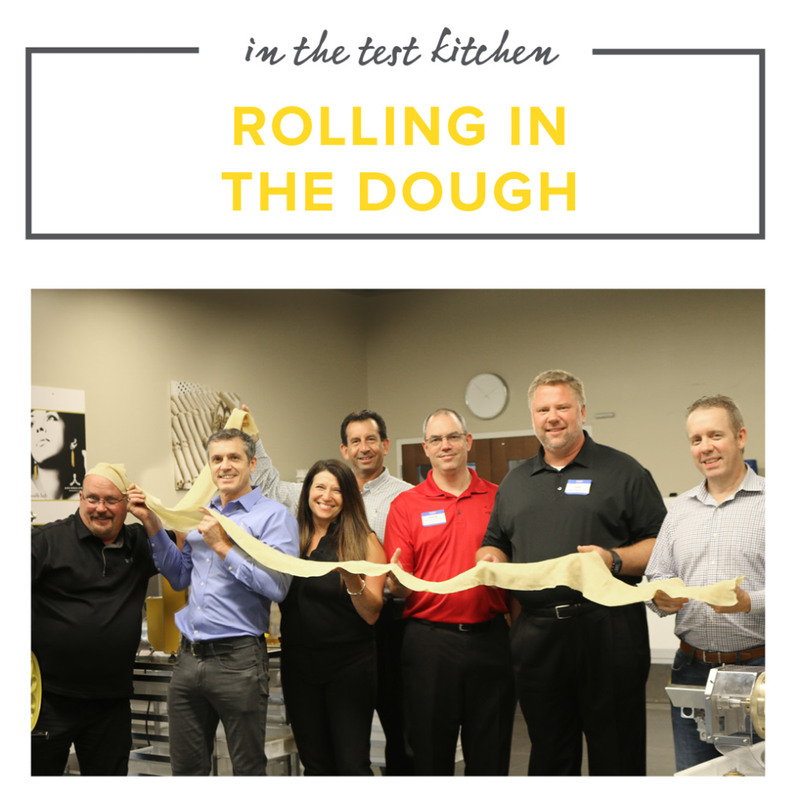 We walked through the dough mixing process resulting in a perfect dough consistency. After the dough was rolled into dough spools sheets, following, was the use of the dough cutters to create fresh cut pasta. Last but not least, out came the ravioli! This 4-in-1 machine is truly the Flagship! We continued with the use of our Spiral Mixers, Pizza Equipment and Pizza Ovens to create the perfect, you guessed it, PIZZA! Our electric pizza over literally pops out a pizza done to a perfect crisp in just 3 minutes. And while we were in between pasta and pizza, the Fly Wheel Slicer made its debut slicing thin prosciutto that melts in your mouth! This mighty group of four is ready to hit the streets with their Arcobaleno knowledge. We are looking forward to an exciting future ahead building the pasta category one customer at a time!